Ready to redesign your digital branch? 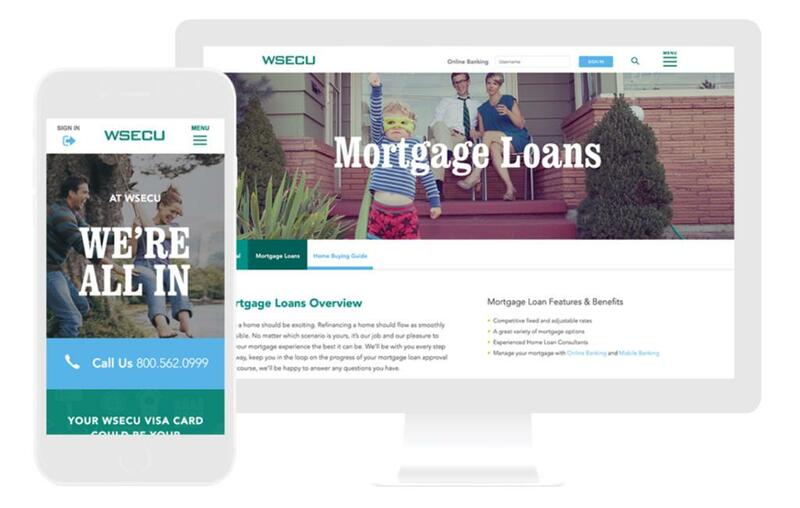 Our web design process uses in-depth persona research and content strategy to help credit unions, banks, and other financial institutions boost website conversions, build customer loyalty, and establish immediate brand recognition—all while adhering to web accessibility guidelines. We build member-driven foundations for financial success. Gravitate is a full service, in-house digital marketing, and design agency with over 17 years of experience. We develop integrated marketing solutions that drive business and boost revenue. We don’t need to outsource your work overseas or to robots. We are real people, with a real passion for what we do – see for yourself. Attracting new members is important for all credit unions. But too often, credit unions go about marketing in the wrong way and undervalue the potential of the website as a marketing tool address the concerns of current and potential members. Instead, they use it to create pages that their staff or board members want. 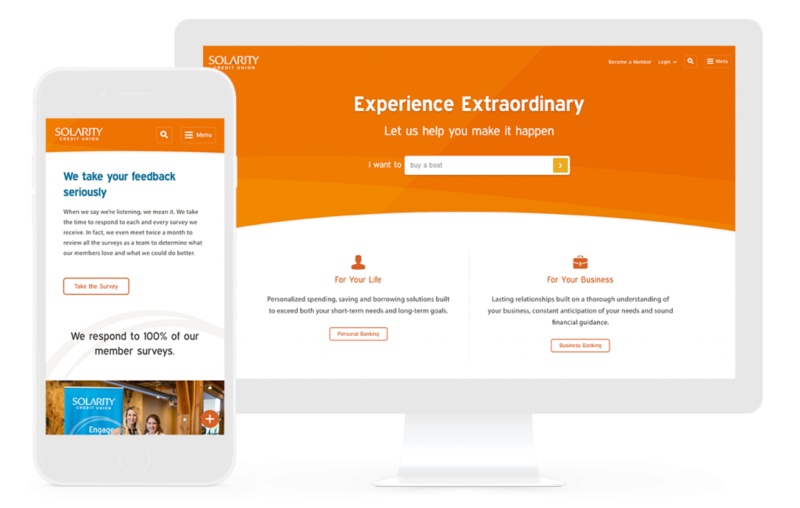 Our process looks at who your current members are and the potential members in your area to develop an easy-to-navigate site with a content strategy that educates each person and inspires them to convert. 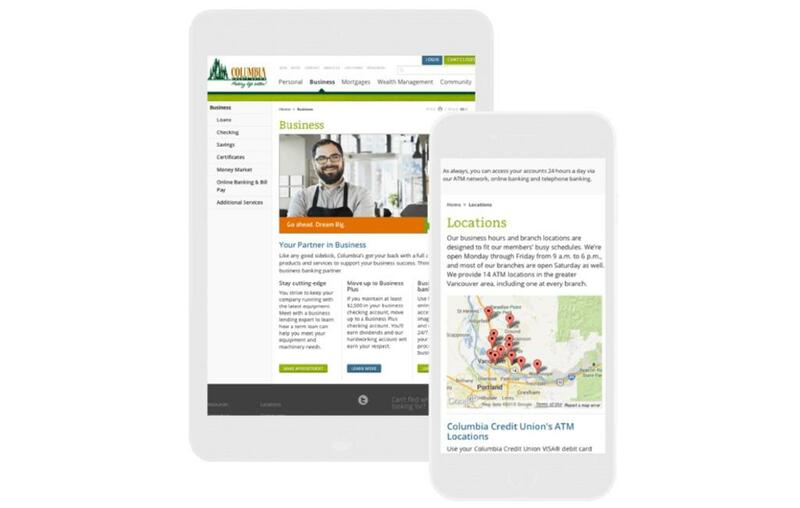 As mobile and tablet browsing begins to eclipse desktop computing, credit unions are building device-agnostic experiences through responsive design. Our content strategy involves thinking about and researching how your members and potential members will interact with and progress through the website. We then design a mobile first website, ensuring that everyone has a seamless experience on all devices, set up geolocation so that the nearest branch is easily found, and we continue to A/B test our websites to obtain optimal performance. We also ensure your website is compliant with an AA or higher in terms of WCAG. While providing users with exceptional customer service (and lower rates) is important, increasing the number of products per household is critical to driving ongoing revenue. Our content strategists immerse themselves into your credit union learning how each product you offer relates to develop a flawless website to cross-promote products, educate members to increase trust, and ultimately increasing the level of commitment for each member. Staying current on recent changes in financial law allows us to act as an additional resource for compliance, as we implement the appropriate legal standards from the start. We also contribute regularly to our library of financial resources, providing additional tools, articles, and guides for online success. Let’s take a look at everything you need to know in this guide to best practices in Live Chat for credit unions.